Triple H talked to me about switching NXT Takeover's date from Saturday to Friday, and really put over Vince McMahon for it and his willingness to adapt. He said that sometimes Vince doesn't get the credit he deserves for scrapping bad ideas or ones that might even be working in order to make something new work, and pointed out pay-per-view as an example. Triple H said that Vince McMahon has worked hard to ingrain this line of thinking into the heads of a lot of people that work in WWE. We also spoke to him about the possibility of Pete Dunne moving on from WWE NXT UK after losing to WALTER at Takeover. Triple H seemed open to every possibility, and really put over Dunne's future as being bright and spoke about his growth in regards to improvement in the ring. It was more of a side-step and non answer than anything. As mentioned on Fightful last week, Savio Vega has been booked for the JT Lightning Invitational Tournament this summer for Absolute Intense Wrestling. I'd heard John Thorne has been trying to make that happen for quite some time and was finally able to pull it off. He told us he wanted this annual tournament to be more all-inclusive from an entertainment standpoint as opposed to some of the work rate tournaments that you can find all across the independent circuit. He also spoke of the mentality of booking the Chandler Biggins Memorial Tag Team Tournament, and said that he hoped to highlight more emerging and diamond in the rough tag teams, as the independent tag team scene doesn't necessarily have the marquee attractions like they do from a singles standpoint. Wrestlemania's main event. Where do we start? Referee Rod Zapata was the first name blamed through the curtain for the issues surrounding WrestleMania 35's main event. The plan was for Ronda Rousey to be pinned by Becky Lynch clean with a crucifix pin. Her shoulders were supposed to be down, and there wasn't supposed to be any controversy surrounding the situation or the Lynch victory. However, Zapata counted the pinfall before Rousey's shoulders were actually down. WWE refs are instructed to call matches as shoots, and only count when a wrestler's shoulders are on the mat. The stance from many -- including Zapata, was that the match was laid out ahead of time and that Rousey in particular could have struggled to think of another finish if the match didn't go as planned. McMahon told Zapata that he should have waited to count the three, and if any of the performers in the ring ended up struggling to regain, that would be on them to find their place and fix things, not the referee. There was also said to be an incident during Monday Night Raw in which Dan Engler (formerly known as Rudy Charles) ended up getting fined after the Aleister Black & Ricochet vs. Chad Gable and Bobby Roode. The spot was said to be a small one, but that Vince McMahon wanted to set an example. For those asking, I'm unsure of the offending spot. The referees in question were brought to the production truck and shown video of how and where the errors were made. Vince McMahon did not call for any different finish than what played out. Ronda Rousey was said to "not be happy" as she returned from backstage. Whether or not that had to do with her hand or the finish is unclear. She, Becky Lynch, and Charlotte Flair did in fact rehearse the match, and camera crews were there to film it as they did. Rousey also suffered a big cut on her leg last week, which required 14 stitches to close. Undertaker was seen a couple of hours before Raw in gear, ready to perform. His appearance wasn't kept as a closely guarded secret as many have been over recent weeks. There were many who were surprised that Alicia Fox was at Axxess, but said that she didn't cause any issues and was on good behavior. We're told there was never a real consideration for her to wrestle in the battle royal and that as of this weekend, no firm plans had been made for her return. Many also expected EC3 to miss the actual WrestleMania show, as he was battling the flu all week. He made all of his commitments, but wasn't in attendance at the Hall of Fame show. He ended up participating in the battle royal briefly, and then wrestling a full match on Tuesday night. Vince McMahon was at Smackdown and supposedly "on everyone's back" about errors that had been made throughout the week. A significant portion of the roster was already home by then. Despite the measles outbreak throughout Brooklyn this week, most of the Superstars that we spoke to had no clue about it on Tuesday after the news had broken about it. Bret Hart was said to be in great spirits on Sunday and Monday following WrestleMania and the attack on him during the WWE Hall of Fame. WWE was quick to pull attack footage from Youtube in the minutes that followed. There were signs up all over backstage warning workers that taking photos of the WrestleMania set while under construction is prohibited. Many of the Superstars who appeared on "new" brands this past week weren't told of it before Monday Morning. As you saw by Smackdown, Mustafa Ali was fine after his spill to the outside of the ring. He required a couple of stitches. The big boxes along the ringside area were for VR projects. There were production issues for various promotions throughout the weekend, most notably Blackcraft's mics being hot before the show and throughout the broadcast. Fightful was also told that there was a pitch for Joey Janela Spring Break 3 that would have seen Disco Inferno appear during L.A. Park's entrance and crack him in the back with a chair. Adding to the Sasha Banks story filed by Wrestling Observer this week, we're told that the situation was very close to that of the Revival, where WWE is hoping Sasha Banks will give them the opportunity to prove she'll be used correctly. Despite the rumor that RD Evans was fired, he actually quit on the spot after hearing that Vince McMahon was upset after his name was mentioned during the Hart Foundation induction. He walked to Gorilla Position, shook Vince's hand and quit. Many people were on edge this weekend, and Vince McMahon's attitude was said to be a big reason for that. 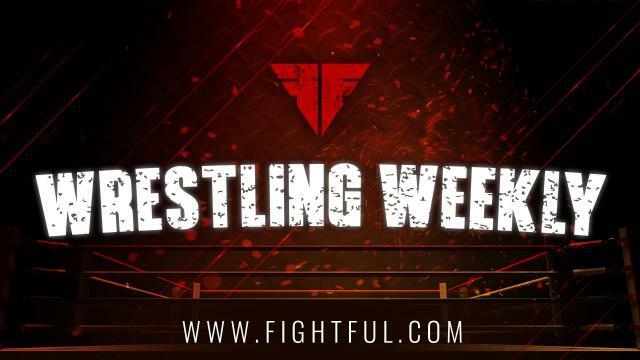 Fightful Wrestling's The List & Ya Boy Podcast #101: Episode 100 Fallout, WWE, PCO and more!